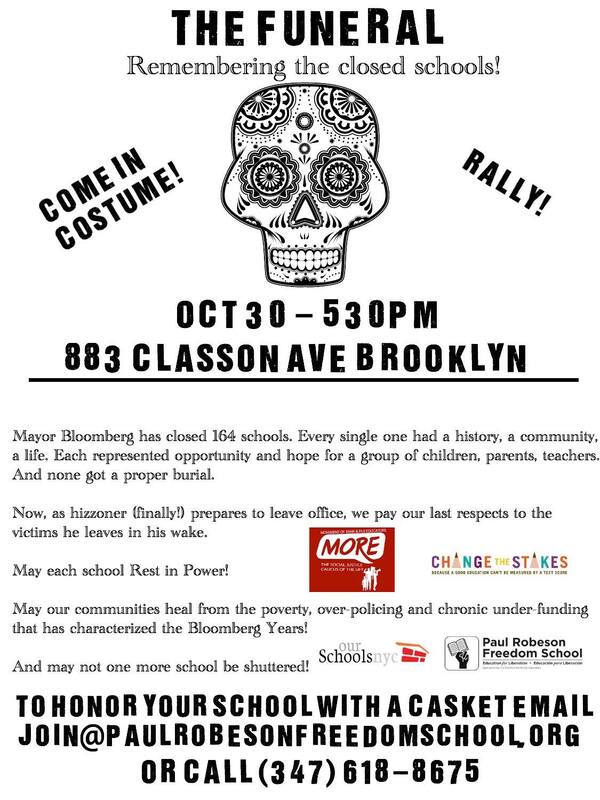 Stand up to school closings- join us at “The Funeral” to bury the Bloomberg years and his failed educational policies! How to fight for your rights as an educator ! There will be no sign in sheet and you can attend anonymously. Francesco will share what he has learned from being in the trenches, but the conversation will not be one sided. 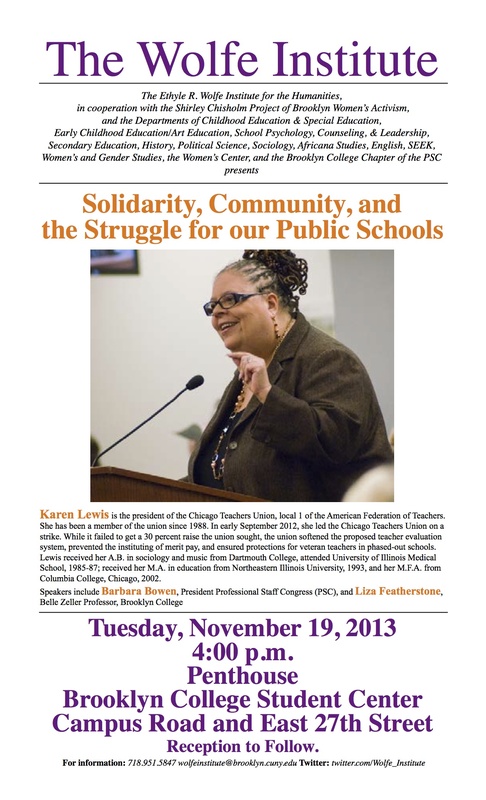 Not a MORE event, but hosted by our sisters/brothers of PSC (CUNY educators) a union local of the NYSUT/AFT. Barbara Bowen- President of the PSC and Karen Lewis -President of CTU are both from reform, progressive caucuses that were formerly in opposition. Our last general meeting of 2013. 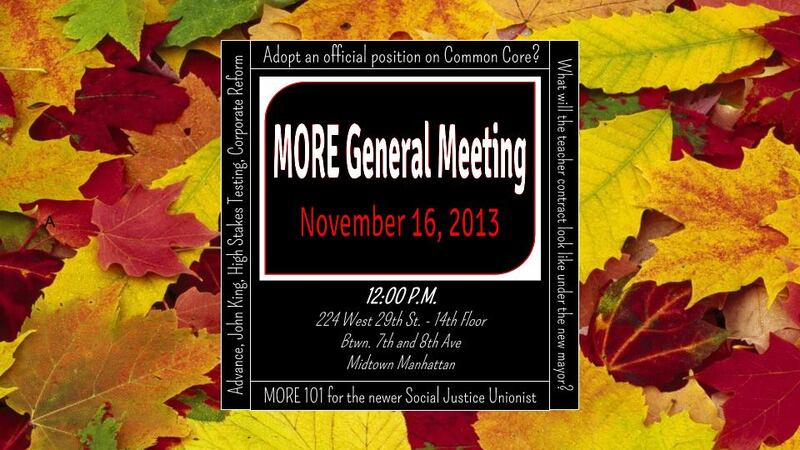 Discuss, debate and take action against high stakes testing, common core, and learn how the next mayor will impact public education in NYC. Nervous about the implementation of a new teacher evaluation system? Outraged that teachers are evaluated on tests for subjects they don’t even teach? Eager to organize resistance to the new teacher evaluation system? The MORE Chapter Organizing Committee will be meeting to share reports about how the new teacher evaluation system is being implemented and plan resistance to this unfair and fraudulent method of evaluating teachers. Come sign and share our petition calling for a moratorium on the new teacher evaluation system and brainstorm strategies for building your union chapter through this campaign. Students and teachers are more than test scores! Teaching can not be reduced to a rubric! Sign up to distribute the new MORE newsletter! Get involved and join the movement!